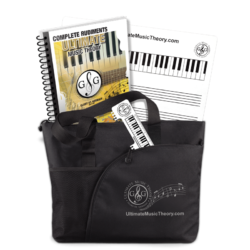 These Three UMT Tips will save you a lot of confusion, especially when you need to write a Dominant 7th chord in 1st inversion, 2nd inversion and 3rd inversion. When writing a harmonic interval of a second, line note to space note OR space note to line note, the lower note is written first (on the left) and the "hugging note" is written UP to the right. So that seems pretty easy to remember, but it was really my student Shannon who challenged me with the question of "what is the correct placement of notes when writing Dominant 7th chord inversions". Hmmmm, I never really thought about it before. I just placed the notes in the correct inversion position (lower note determining the inversion) without really thinking about how to line up the notes correctly. With so many concepts to learn, life just gets easier with a simple explanation and a few tips so we can learn it the right way the first time! Isn't it interesting that you learn more from asking questions than anything else? I set out to discover the answer and create 3 Easy UMT Tips for Shannon to learn so we would BOTH know the right way to write these inversions. In the Complete Music Theory Workbook , when an interval of a harmonic second is found in a Dominant 7th chord, does it hug to the left or hug to the right? When writing a 4 note chord using whole notes, how do you determine the placement of the notes? Let's use half notes along with the "Stem Rule" to help us write the Dominant 7th chord inversions correctly. Which Dominant 7th chord is written correctly? A, B or C? Watch my student Shannon use the UMT Whiteboard to write the Dominant 7th chord in 1st inversion, 2nd inversion and 3rd inversion. Learn the 3 Tips for the correct placement of notes when writing the Dominant 7th chord inversions. 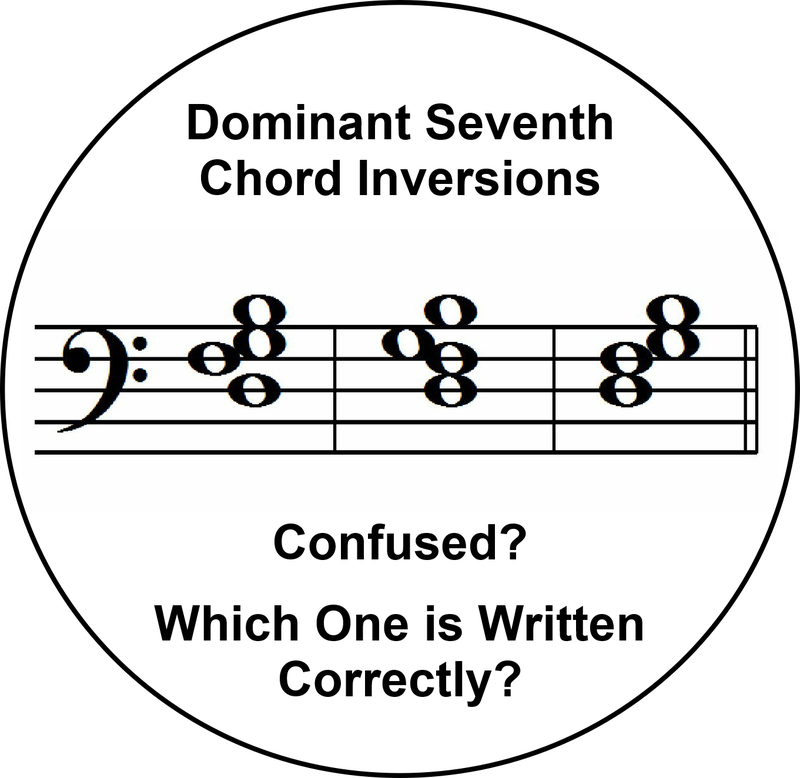 Three UMT Tips to write Dominant 7th chord inversions. Tip 1: First determine the direction of the stem for the note that is furthest away from the middle line. Use this as a guide when adding the remaining notes. Tip 2: The lower note of the "hugging notes" is always written to the left of the stem and hugs UP to the right. Tip 3: Add the remaining note, following the stem rules. Using the 3 Tips, which is correct? A, B or C? 1: The note furthest away from the middle line is B. So the stem direction is down on the left. 2: The lower note F, of the hugging notes (F to G) is written to the left of the stem. Note: A harmonic interval of a second, the "hugging notes", are written BESIDE each other, touching. 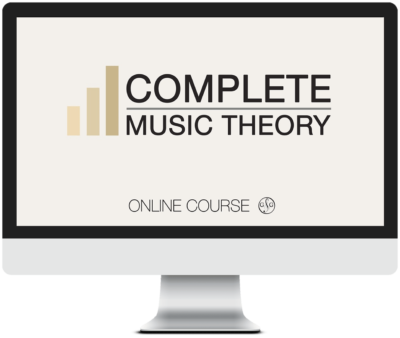 Get the exclusive Complete Music Theory Course today! 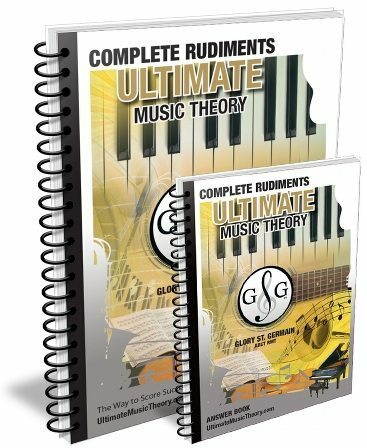 Start building your successful learning techniques including Dominant 7th chord inversions and much more! P.S. Join the conversation - Enter your Dominant 7th inversion questions or ideas in the comments below. Let me know what concepts you struggle with and I'll be happy to answer your questions!